Since the weather was so nice today and the forecast is for cold and rainy tomorrow, we decided to go ahead and take the bikes out tonight, with Frylie by our sides of course. 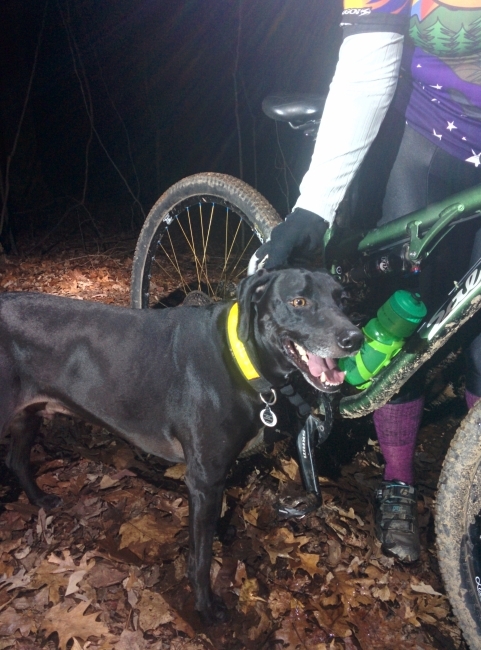 Ever the awesome trail dog, Fry says "Let's Go!" 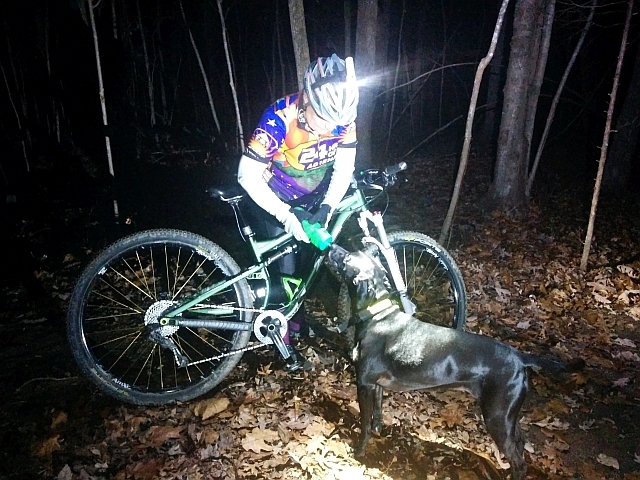 Night riding is fun in its own right, but is even more so with my best buddy on my wheel.